Nicolás Maduro Moros is the current President of Venezuela. Born in 1962, Maduro became the President of Venezuela in 2013 when his predecessor, Hugo Chavez, died from cancer. In 2018, Maduro was reelected to the office by a with 67.8% of the vote. The legitimacy of the election was in question and deemed as fraudulent by neighboring countries, including Mexico, Argentina, Colombia, Chile, Brazil, the United States, and Canada. Previous to serving as the President, Maduro was the Minister of Foreign Affairs from 2006 to 2013 and served as Vice President to Hugo Chavez from 2012 to 2013. Currently, Venezuela is undergoing an extreme socioeconomic crisis. 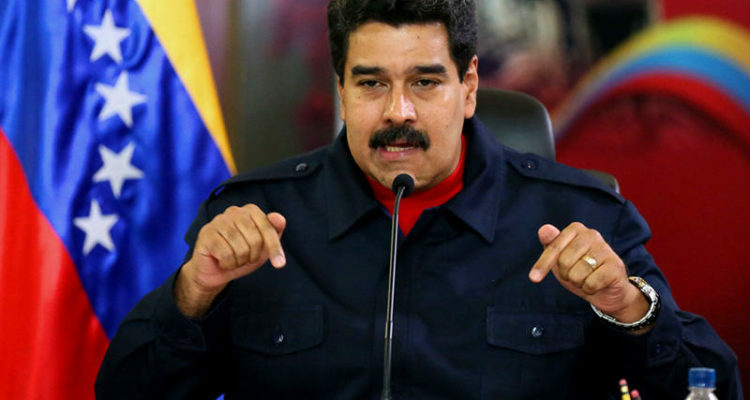 Many blame Maduro for his governmental policies, referring to him as a dictator. At present, the country is experiencing hyperinflation, the Venezuelan exchange rate is plummeting, and there is mass emigration to neighboring South American countries and the U.S. Over 3 million people have fled Venezuela since 2015, citing starvation. The IMF predicts that the Venezuela’s inflation rate will reach 1 million percent by the end of 2018, the highest rate seen since the beginning of the 20th century. The huge reduction in oil production, Venezuela’s main source of income, has caused severe decreases in resources including food and medicine. Maduro has recently put a plan in place to revitalize the country’s wealth by mining for gold in the Orinoco Arc. The plan may be sound in theory, but to date poor treatment of workers, environmental crimes, and murder have been the only outcome of Maduro’s mission. Citizens believe that Maduro’s form of socialism is what will be the downfall of the country, not the lack of oil. There are other controversies surrounding the President, including his place of birth. By law, a citizen must be born in Venezuela to serve as the country’s president. In the past it has been stated that Maduro was born in Colombia, not in the Venezuelan capital of Caracas. No proof has been brought forward to substantiate the claim though. Maduro attended Liceo José Ávalos, a public high school. He allegedly became interested in politics during high school, but never graduated. In 1979, Maduro was named as a person of interest in the kidnapping of American, William Niehous. Maduro began his professional career as a bus driver for the Caracas Metro company. He ventured into formal politics in the 1980s, when he became an unofficial trade unionist representing fellow bus drivers. At age 24 , Maduro lived in Cuba with other South American leftist militants. He attended a one-year course at the Escuela Nacional de Cuadros Julio Antonio Mella. Reportedly Maduro studied under Pedro Miret Prieto. Prieto was a close associate to Fidel Castro and senior member of the Politburo of the Communist Party of Cuba. Maduro’s introduction to Hugo Chavez is unclear. The Cuban government allegedly assigned Maduro to work as a mole for Cuba’s Dirección de Inteligencia, with the aim of approaching Chávez. In the early 1990s, he joined The Revolutionary Bolivarian Movement-200 (MBR-200), a political and social movement founded by Hugo Chávez in 1982. In the 1990s, Maduro also co-founded the Movement of the Fifth Republic, the main supporter for Chávez’s presidential election in 1998. In 2012, Venezuelan President Hugo Chavez appointed Maduro as Vice President. Shortly after Chavez’s victory and Maduro’s appointment, Chavez announced that he would have to return to Cuba for cancer surgery. Chavez secured Maduro’s position as President by naming the VP as his successor. In 2017, the United States sanctioned Maduro following his election. The U.S. labels him as a “dictator,” which prevents him from entering the United States. In 2018, Donald Trump placed more sanctions against Venezuela regarding their gold mining operation, forbidding any U.S. entities from participating in the process or from buying any of the gold mined in the country.